Comcast has logged yet another tally in the competition for Shittiest Company In Existence. During a meeting with the FCC last week, Comcast officials bleated that they should be able to charge customers more in exchange for not selling their data. Comcast argued in an August 1 regulatory filing detailing the meeting that forcing people to choose between privacy and lower prices for internet service—a method used by companies like AT&T, among others—is chill as hell, man. “A bargained-for exchange of information for service is a perfectly acceptable and widely used model throughout the US economy, including the Internet ecosystem,” Comcast wrote. Though its reasoning may be sketchy at best, Comcast is correct in that this pay-for-privacy scheme is not uncommon. In 2013, as part of its GigaPower fiber network, AT&T began offering customers the option of cheaper service—but only if they agreed to hand over their data. “When you select AT&T Internet Preferences, we can offer you our best pricing on GigaPower because you let us use your individual Web browsing information, like the search terms you enter and the web pages you visit, to tailor ads and offers to your interests,” AT&T helpfully explains. Comcast wants to protect this kind of operation, and goes so far as to argue that prohibiting it would “would harm consumers by, among other things, depriving them of lower-priced offerings.” The FCC, for its part, is currently mulling what kinds of privacy restrictions to put in place for internet providers. 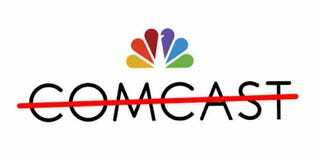 In the meantime, you’d better love giving money to Comcast because the company loves taking it.